TH readers have made a lot of good comments about privacy and the whole Pictometry fiasco. We thought it would be a good time to review where we stand on a variety of privacy fronts. In short, the Trojan Heron believes government should be transparent and public. On the other hand, we believe that citizens are entitled to privacy, especially when in their own home and on their own property. On the bright side, we are pleased to receive word that House Bill 1128 died last month. This was the Bill that sought to weaken the Public Records Act by allowing public agencies to use the courts to block requesters and to limit the time spent compiling records. The demise of this Bill is a win for everyone who believes in transparent government. Pictometry is currently flying Whatcom and Skagit Counties. The exact date of the flights here depends on weather. Weather reports for the rest of this week are good for flying, so it would appear that the data is being collected. Apparently, San Juan County can turn down the data once it's collected and therefore not have to pay; however, the data would have already been collected, and presumably, Pictometry could then turn around and sell it to someone else. In fact, there are companies who will provide aerial photos to municipalities for free in return for a cut of the enforcement fees collected as a result. There is an attitude held by some in government that if we aren't hiding anything, then there is nothing to be concerned about from the latest high-tech aerial photos. That's a specious argument. We have blinds and shades despite having nothing to hide inside our homes. We close the bathroom door even though nothing secret happens in there. Privacy is a basic human need without connection to wrongdoing. In fact, whenever someone advances the "if you have nothing to hide" argument, it is a dead giveaway that the speaker is simply wanting to nab people with the new technology. Why is it that some in our County government (see clip below) think secret government meetings are a valuable part of the deliberative process, and yet these same people fail to recognize the need for personal privacy protections? Note: we apologize for the A/V sync issues but they are on the original video from the County. Despite the continuing mayhem about the CAOs, this year is likely to be dominated by shoreline discussions related to the Shoreline Management Plan (SMP) update. From CAO testimony, we have already had a prologue of what these discussions might look like. Watch the clips below to hear Barbara Rosenkotter of the County (and formerly of the Byers campaign) speak for the fish. Then watch Jim Slocomb speak on behalf of the Marine Resources Committee (MRC) in recommending that all shorelines be considered critical ... essentially because fish need water and fish might use any of the marine water in the county at some point or other. The Rosenkotter/Slocomb view is that "protection" means that every inch of shoreline in our county has to be designated as critical. This raises a major question that our County government has yet to wrap its head around. Are we protecting "areas of use" or "areas needed for population viability?" The CAOs say we are required to protect population viability. But that isn't the view of the Salmon Recovery Lead Entity or the MRC in these video clips. Is Shireene Hale The New Jon Shannon? Most of us probably remember Jon Shannon, the former head of Public Works. During his tenure, the solid waste situation in these islands grew progressively more bizarre, as well as expensive. It seemed like every solid waste solution ever proposed by Shannon involved making the program more affordable by making it bigger and more expensive. He led us through a costly planning process to relocate the San Juan Island transfer station, an effort that eventually failed when it ran headlong into a buzzsaw of public opposition. He borrowed heavily and regularly to keep the solid waste system afloat. His presentations to the Council often contained basic mathematical errors that no elected official ever caught. He needlessly caused compliance issues and then informed on himself, cutting the roof off the San Juan Island transfer station and subsequently notifying Ecology that we didn't meet stormwater requirements because of it. Until his final days, he received (however begrudgingly) support from the Council. Even after Shannon had left, the Council still followed his agenda for a while by putting forward a solid waste tax and spending plan patterned after Shannon's philosophy that "more is better." It wasn't until the grandiose solid waste tax plan got shellacked at the polls in 2011 that the Council finally got the message. Now we seem to be afflicted by another bureaucrat who believes that "more is better." She receives, however begrudgingly, steady support from the Council. She leads a byzantine County program that is as bizarre as it is expensive. In the clip below, you'll see her say that we have to keep her around because, as long as she's here, she can explain the CAOs to everyone else, even though in the last post we saw her admit that she doesn't fully comprehend them. Maybe we should dub the CAOs the "Shireene Area Ordinances," since having been made in Shireene Hale's image, they are both unintelligible and presumptuous. In the clip, you will hear Hale say, for the umpteenth time, that the CAOs are complicated because we have adopted a site-specific approach. That is a complete red herring. For the umpteenth time, we will say in reply that we do not have site-specific CAOs. We have CAOs that are pointless because they are based on meaningless cherry-picked site variables, leading to a result that cannot be understood even by those who crafted them. The election may be over, but we're still trapped in the train wreck that is the CAOs. In honor of the election, let's play some CAO greatest hits. The clip below is from April 9, 2013. Shireene Hale (who championed the CAOs) confesses that she doesn't understand them. It seems like the standard excuse put forward by Hale and others is that the CAOs are complicated because they are site specific. Not true, even though Hale uses this very excuse in the video. They are not site specific. They are just pointlessly bureaucratic and off the mark. And Hale's view appears to be in contradiction to that of candidate (at the time) and Councilman Jamie Stephens from just 4 days earlier as he appeared in a campaign event. To us, looks like McClerren's take on the CAOs was much closer to the truth than that of Stephens. San Juan County is no stranger to recounts. If there is a recount, then the challenging party must pay $0.25 per ballot (depending on the closeness of the outcome). According to the election website, there are approximately 60 votes left to tally. The Lopez School Bond measure, which needed 60% to pass, lost badly. And for some strange reason, Sharon Kivisto felt the urge to predict the outcome of the election just hours before the official results were in. Kivisto predicted that Pratt would defeat Jarman. Kivisto reprised the Chicago Daily Tribune (Dewey Defeats Truman) by predicting a win for Pratt just hours before the official results were announced. The only election result that seems safe to call at this moment is the one between incumbent Jamie Stephens and Brian McClerren in the Lopez race. Looks like Stephens has won that contest. As for the other races, Jarman leads Pratt; and Hughes leads Byers, but it's too close to make a final call. While you wait for the next count of ballots at 5pm on Wednesday, have a look at a video of the Council discussion regarding aerial photos that took place on Tuesday. If you listen to the video, you will hear that the resolution of the proposed photos is no better than that of Google Earth? Then why doesn't the County just pay $400 for a Google Earth Pro license? Also, other Counties aren't making the aerial photos public, even though the photos are paid for with taxpayer money? Is that revelation supposed to be a comfort ... that our County government will have aerial photos that will be kept secret from the taxpayers who paid for it? The photos are public records. How can they be kept from the public? The more the Council talks about the aerial photos, the stranger it seems. The County is getting some of the money for the photos from Roche Harbor Resort and a realtor on Lopez ... a realtor on Lopez? What?!? With election results due this week, we think it’s time to review the state of the County. Over the past couple of weeks, the implementation of the new CAOs has been delayed a full year because no one can figure out what they mean. Even Shireene Hale, who wrote the language in the Ordinances and championed them, admitted in front of the Council that she doesn’t know what certain parts of the CAOs are saying. Despite this, certain of our fellow citizens continue to speak in favor of the new CAOs, as if they understand them better than anyone else. They don’t, and neither do the candidates who have alleged that they are simpler and better than the old/current ones. 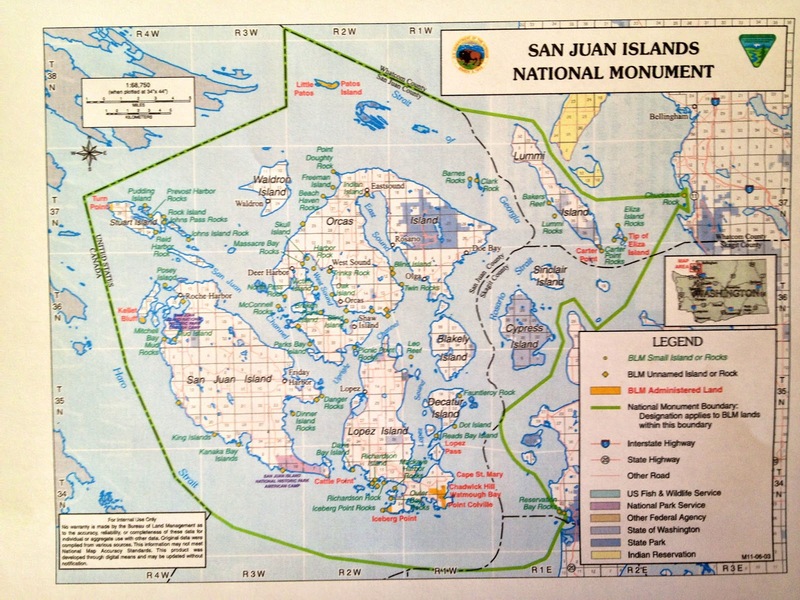 The CAOs are still under appeal to the Growth Management Hearings Board (GMHB) by the Friends of the San Juans (who urged their approval), the Common Sense Alliance (who did not urge their approval) as well as others. The lawsuit regarding the Open Public Meetings Act (OPMA) violations also continues, with a decision expected in the upcoming week about a Motion for Summary Judgement heard in Court on Friday. An appeal of the CRC propositions is still alive too, but will not affect the election this week. We have a new national monument, the meaning of which (like the CAOs) remains hard to decipher. It was billed as a grassroots effort to protect BLM lands here, but to many, the entire affair looked more like an effort to promote eco-tourism by some of the more prominent and connected eco-glorymongers in the islands. On election matters, the candidates have raised approximately $110k altogether, with about $73k amassed by the partisan candidates (Pratt - $23k, Byers - $30k, and Stephens - $20k). Trust Islanders, a newly formed non-partisan PAC, has raised about $24k to assist the non-affiliated candidates (whether they want it or not). The non-partisan candidates, collectively, have raised only about $37k. This election has seen quite a few misstatements by certain candidates in addition to the aforementioned claim that the new CAOs are simple. Jamie Stephens, for example, claimed during the League of Women Voters forums that the County did not add debt during 2012. While the County did refinance some of its debt in 2012, it also added $1.7 million in new general debt too. County budgets are at near all-time highs as well, despite shedding staff over the last few years. Structural cost imbalances also persist since staff payroll costs (which form the bulk of general fund expenditures) continue to grow faster (3% per annum) than the levy lift limit (1% per annum). Despite the imbalances and the need to add debt, somehow Bob Jean has been able to find about $160,000 in 2013 for highly questionable purposes related to dubious Community Conversations and more advanced aerial photography for our County GIS system. Committees are still out of control, although the Winter Council has made attempts to get their hands around them. The Planning Department continues to hire staff, and the unspoken relentless planning vision for our County appears to be to create and staff an Urban Planning Department despite being a rural county. The Stormwater Program remains confused, purposeless, and expensive. The Network/Machine continues to thrive and speak out, as is evdent from letters to the editor. It continues to exert itself out of public view too. Ron Zee, head of the Stewardship Network, the Madrona Institute, and the Conservation District, has brought Kyle Loring of the Friends into the Conservation District as an advisor. Word has it that he is about to hire Linda Lyshall into the Conservation District too. The State of the County? Still rotten ... with plenty of work to do regardless who wins the election. In a recent letter to the Journal, we find the latest person making the baseless claim that our CAOs are needed to protect our environment. Like Judge Darrah's earlier letter, it is devoid of specifics as to how the CAOs purportedly achieve environmental protection. The CAOs do not protect anything. Even if we had a problem, the CAOs would miss it. That is the simple truth, but there is a lot of eco-cachet associated with pushing even pointless environmental regulation in the San Juans. And this latest letter in the Journal by Steve Ulvi describes our local waters as being fouled. They are ... but only metaphorically. They are fouled by the widespread, relentless pollution of the truth by people who rely on deception, evasion, and fallacy to make their points. Our waters have been repeatedly described as "pristine" and "spectacular," but to keep the grant money flowing in, serious problems have to be alleged -- never proven -- but always suggested. The pervasive eco-deception is to try to convey a contradictory mythology to visitors and outsiders that these islands are untouched ... virgin ... but we are also somehow impaired and imminently threatened by further degradation because of development too. The reality is that these islands have been resource harvested for decades and have been scraped clean at least twice, but despite that, our islands are nonetheless "pretty spectacular" to use a phrase by NOAA. In fact, we probably live more lightly on the land now than we have in decades. See for yourself by following this link which provides further links to Rowse's Council appearance. Along the same lines, but separate, view the video below of a presentation by Dr. David Hyde. For those of you who are still trying to make up your minds about this election, one side is clearly lying about the CAOs. It is the side with the outspoken judges and retired Park Service employees grasping for unachievable aspirational goals of a world uninfluenced by any people ... except them. The CAOs will not return us to an eco-virginal state because, even if that were possible, no one knows what it means anyway, but somehow that aspirational eco-standard is what we are always compared to by the likes of Ulvi and Darrah. The CAOs don't save our environment for our children and our grandchildren's future; they protect self-interested eco-bureaucrats and preserve eco-deception for our children and our grandchildren's future. In an earlier post, we covered the County's plans to cut down old growth trees at Odlin Park. Now, observe (click video below) what the State is doing around the Environmental Learning Center in Moran State Park. What do you think would happen if you tried to do something similar on your property under the new CAOs? The website for the park says it is a forest health project. I see ... it's okay for humans to intervene for forest health in Moran State Park, but individual property owners might get into trouble for doing far, far less under the CAOs? What about functions and values and no net loss? What about marbled murrelets, peregrine falcons, global warming, sea level rise, and salmon ... omg, the salmon! Why isn't Barbara Rosenkotter (of the County and Lisa Byers campaign) at the Learning Center speaking for the salmon, or does she only do that in front of the Council during CAO/SMP hearings? Where is Judge Darrah? David Dehlendorf? Alderton? Steinhardt? Azous? Where is everyone else of similar ilk, or have they been too busy posturing and churning out letters of support for Pratt, Byers, and Stephens to notice? In particular, we wonder where the Friends have been while this Moran forest health project has been going on? At least we know they haven't been spending any time at Odlin Park either. We reckon the Friends' selective perception stems from no big donors having complained about either project. Probably not a grant opportunity either. You can be pretty sure, though, that when you want to trim a few limbs (especially along the shoreline), the Friends and their friends will probably know all about it ... and the CAOs have given them all the tools they need to mess with you. I heard a more satisfying if somewhat depressing explanation for the seemingly random eruptions of political idiosyncrasy from Samuel Abrams, who teaches politics at Sarah Lawrence and Stanford. Abrams, who has spent the last decade or so researching our political habits, begins with the evidence that most Americans are simply not engaged in local politics, except perhaps on pocketbook issues. In the absence of public attention, motivated, well-financed and sometimes extreme elites have captured the lawmaking process in many state capitals. Legislatures are vulnerable to (and often populated by) the most ardent believers in a cause, the ones who care enough to take the time, raise the money, turn out on Election Day and lobby relentlessly. This County has been run by a power clique for so long that residents have become accustomed to it as normal. It's not normal (or shouldn't be). It's not representative. It's the wrong way to live. By Trojan Heron estimates, about 160 influential people run this County. They sit on committees; they interview candidates for office and support/endorse the ones that pass their muster; they get grants; they work inside the County and control who gets hired; they manage the non-profits; they write the letters that get published in our newspapers. In short, they run our lives while the rest of us are trying to just live our lives. If no one else in the County except these 160 people existed, you wouldn't even notice by only looking at the way our public governance and media conduct themselves. The traditional power clique is losing its grip on the control levers here (thanks to all of you), and they are very upset about it. They are unraveling. The letters and emails they send out are often ad hominem attacks, not based on issues. Even their attempts at issues-based homilies, like Judge Darrah's opinion piece, are so turgid and bereft of relevant facts as to be meaningless (like the CAOs themselves). Elaborately worded ignorance is still just ignorance, and Judge Darrah can't seem to wrap his elevated mind around something very simple: the CAOs cannot remedy something that does not exist to begin with. These islands have not been shown to be contributing to environmental decline, so efforts to justify restrictions on the premise of protection are specious. The only environmental threats the CAOs address are the ones fabricated on paper by the tables and assertions developed by Shireene Hale and concurred by Dr. Adamus. A CAO scofflaw would be in violation of one of these tables/assertions only, not violating actual environmental protections. The new CAOs are so confusing, anti-people, environmentally pointless, and rambling that it is nearly impossible to support them without also being a hypocrite regarding some aspect of their implementation ... because somewhere, somehow nearly everyone will be in violation of their unbridled discretion. The CAOs were designed to catch everyone. If you support them, you are undermining yourself, not just your neighbors. The ballots are out. Already, some of you may have voted. We hope you re-read the posts on this blog and look at the links on this post before you hand in your ballot. You can help to stop the madness if you continue to participate, vote, and speak out. Here are the latest fundraising tallies (and links to posts/videos of the candidates). It's quite clear who is independent and who is supported by the Machine. It is also gratifying to see that some candidates have noticeably changed their message during this campaign in response to citizen feedback. That just shows that we can have an effect if we all stay engaged. Here's a clip from the National Monument celebration in Anacortes today. Did you know that we're part of a 21st Century Agenda? Have a listen. 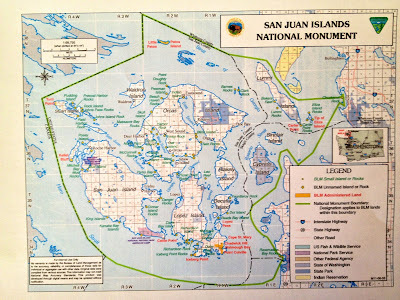 Here is the link to the Presidential Proclamation creating the San Juan Islands National Monument, and below the video clip is the map accompanying the Proclamation.